May-Thurner Syndrome stenting in Spring Hill, performed by vascular surgeon, Dr. Kerr, using stenting and IVUS intravascular ultrasound at the endovascular suite of The Vein and Vascular Institute helped Charlotte improve leg circulation. Charlotte was having severe leg swelling, leg pain, and fatigue. She could not do her daily routine because of the leg pain and the lack of energy caused by her symptoms. Her family doctors were prescribing her water pills because they thought her symptoms were caused by water retention in her legs. Water pills did not help Charlotte and her symptoms were only worsening with time. Charlotte’s new family doctor advised her to go see Board-Certified Vascular Surgeon, Dr. Thomas Kerr at The Vein and Vascular Institute because she knew that Dr. Kerr could help her with her leg problems. Dr. Kerr performed an IVUS ultrasound on Charlotte and found that she had compression on her iliac veins (pelvic congestion syndrome). Pelvic congestion syndrome is a rare vascular disease that is also known as May-Thurner Syndrome. It was this vein disorder that was causing Charlotte all of her debilitating symptoms (leg pain, leg swelling and fatigue). After Dr. Kerr found the compression on both of her iliac veins, he used stenting and IVUS intravascular ultrasound to open up her pinched iliac veins. Following the May-Thurner Syndrome stenting, Charlotte’s blood circulation through her legs was restored and her health improved immediately after treatment. Charlotte is feeling so good after treatment that she wanted to share her story with other people who are looking for the solution to their unexplained leg swelling and leg pain. “I had knee surgery and after my knee surgery my legs always felt very stiff. The symptoms in my legs were like I had cement blocks attached to them. I was exhausted walking. I could hardly put in a whole day of doing my routine. My knees just felt like they were like a balloon compared to the rest of my leg. I was fatigued with them and I couldn’t go places with my family and we always like to do things together. I’d always say, “No, not today, I’m tired.” and that’s not me. I am ambitious, I just cannot sit. I hate sitting. I just want to be on the go all the time. That keeps you young. Everyone kept saying that my legs were filling with water. It was water retention, and everyone, for years, was giving me water pills. Well, I’m from outside of Chicago and we moved down here, and we found a family doctor. She knew some of my symptoms that I had that I needed to see a vascular surgeon, and so did my husband. She highly recommended Dr. Kerr. So, we did the IVUS ultrasound, and that’s when he found that there was a compression on my iliac veins in my abdomen and he said that he needed to fix that. Well, when he went up there, both of them were compressed and he had to put two stents in them. The day of the endovascular surgery, I came in, I was greeted by Dr. Kerr’s nurse. She was wonderful and she explained what the process was. Every time she did something she told me what she was going to do. I was relaxed the whole time that I was here. When I went into the endovascular surgery room, it was great. They just put me on the table and they put a sheet up so I wouldn’t see what was going on. The anesthesiologist constantly talked to me, the nurses constantly talked to me, Dr. Kerr kept asking how I was doing. It was just the most relaxed atmosphere. And I was petrified, I didn’t know what to expect. But once I came here, I realized that they are just wonderful people. You couldn’t ask for a better staff. I always tell him that when I come here…”You have one heck of a staff.” They’re friendly. They’re never put out of their way when you ask them a question. When I was done with the surgery, I never felt anything. They put me in recovery and the nurse that was taking care of me just constantly checked on me, and asked me if I needed anything and told me how much longer I was going to be there, and told me it was going to be a couple of days at home of not doing anything heavy. After I was out of recovery and I went home, I relaxed for a couple of days but I felt so good getting out of bed. I didn’t even feel pain in my knees anymore through the surgery. I just got up and it was like instant walking and not feeling fatigued through the day. I felt like doing things again. I went outside and walked the dog and didn’t feel anything. It was just like normal, I guess. And it’s been a long time since my legs felt normal. The recovery of May-Thurner Syndrome treatment was a couple of days where you may have some cramps in your stomach or back but ibuprofen takes it away and you feel really good. And after that, it felt really good to go outside and do things again. And come in the house and do things in the house and not just feel fatigued anymore. Just to be able to keep on going. “It’s ironic, when I first met Charlotte I was taking care of her for her carotid disease, as well as her husband. I happened to be seeing her husband that day and I noticed that her legs were a little more swollen than they usually are. I always take note about everything about my patients and their visitors because you just never know what’s going on. I asked Charlotte when was the next time she was going to come to see me for her carotid disease because I wanted to do a complete vascular examination from head to toe, which we do every other visit or so. She told me she’d been having problems with her legs for quite some time and they had become more and more swollen. I asked her what her family doctor had been doing about that and she said they had been giving her various water pills, various treatments and different medications but they had not seen any great improvement. I had mentioned to her that sometimes when the legs are significantly swollen, sometimes the veins that drain the legs that go to the heart are what we call “pinched” by certain anatomic concerns in the pelvis. I told her that we should probably get some new IVUS intravascular ultrasounds of the pelvic veins and make sure she didn’t have some type of pelvic congestive syndrome, or what we call “May-Thurner’s Disease,” where the veins in your abdomen are actually pinched causing swelling of the legs. This is a mechanical problem and an anatomic problem which can actually be fixed in our Endovascular Surgery Access Center versus giving pills which aren’t really treating the actual problem. Well, lo and behold, we did these ultrasounds on Charlotte and we found that she did have some narrowing in her veins in her pelvis. We, therefore, brought her into our Access Center where we actually were able to place an intravascular ultrasound, a very small probe, into her veins in her pelvis. We were able to document a very bad compression of the iliac veins in her pelvis. This was causing an obstruction and an outward, outflow problem in her leg, causing persistent edema and swelling, which would not be eradicated by medication. We therefore brought her to our Access Center, after we did the IVUS, we were able to stent that pinched vein open…basically opening a log jam of fluid in her leg so her leg could decompress. Well, afterwards, post-operative, she had massive improvement in her leg. The swelling resolved. She was able to return to a lot of her normal activities, activities she hasn’t been doing for the last several years. She had dramatic improvement. It was basically like taking a hose that was kinked and completely unkinking it. Her leg really went back to virtually normal with no medications and completely treated. “It is a serious problem, it’s May-Thurner Syndrome and it doesn’t go away, it can just get worse. 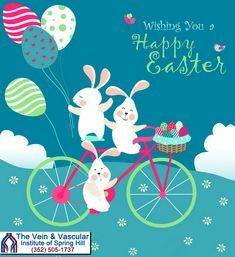 If anyone has the problems like I had with the swelling of the legs, the fatigue, where you feel like you have to drag your legs, you’re exhausted during the day, you should come to The Vein and Vascular Institute because they are the ones who are going to be able to help you and find what the problem is. With me, I wish I would have done that sooner because I wouldn’t have suffered as long as I did with my legs. If you are experiencing chronic leg pain, leg swelling, or if you have one leg larger than the other, you could be suffering from May-Thurner Syndrome. At The Vein & Vascular Institute of Spring Hill, our vascular surgeons diagnose and treat May-Thurner Syndrome using Intravascular Ultrasound and stenting performed on an outpatient basis. To schedule a vein consultation with one of our Board-Certified Vascular Surgeons, give us a call today at (352) 505-1737.